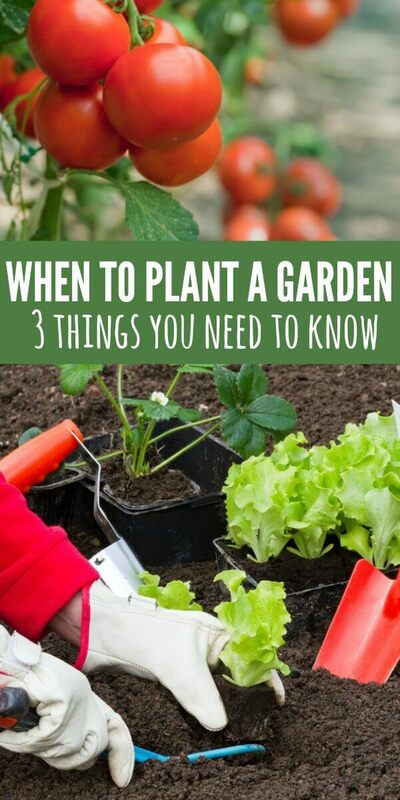 When to plant a garden - 3 Tips to Start Gardening! Who is planning on cultivating a Vegetable Garden this year? We have done a garden before, but I really want to take it more seriously this year, so I thought I would share some of my ideas and plans with you. One of the first things you need to figure out is when to plant a garden. This will vary greatly depending on the part of the US you are in. 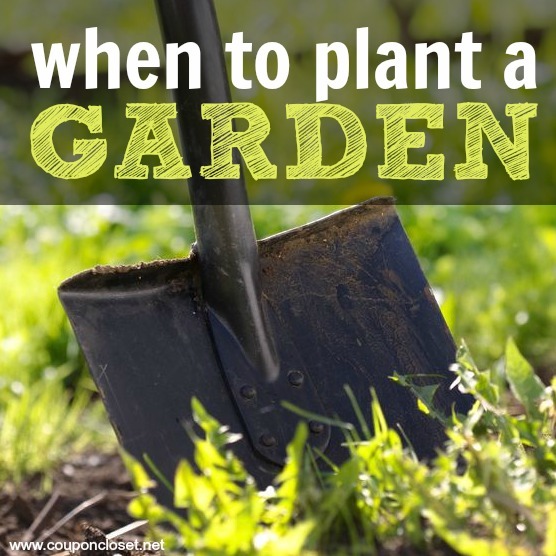 Let’s go over a few basics so you can figure out when the to plant your garden. It’s not difficult at all, you just need to know when and where to start! Once you know when to start planting a garden, it’s really very simple. You want your plants to thrive and this can be done by knowing what month to plant vegetables in. A plan needs to be in place weeks before you actually start planting. Growing vegetables takes a thought out plan. Don’t think you can plant just any time. Vegetable gardening has a specific time to start based on your area and weather. Knowing this information before you do anything else will greatly increase your gardening success! You will be harvesting baskets of vegetables in absolutely no time! You can also learn 5 Ways to Save Money in the Garden. Great tips! Let’s learn when to plant your garden! 1. What vegetables to plant and when? 2. What is my growing zone? Know Your Zone so you will know when to plan a vegetable garden. 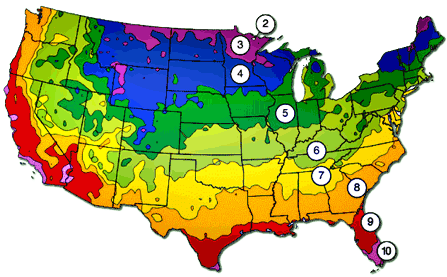 You have probably heard that the US is divided into climate zones. It is vital that you know which zone you live in, so you know what vegetables will grow best when. You can find what zone you live in here, just input your zip code. Once you know your zone, make sure you check your last and first frost. You can do that easily here. Just put in your zip code and the calculator will give you a projected last frost and first frost date. This will help you plan the best times to plant your garden. While early Spring may be the best time for some to plant vegetables, it very well may not for other areas. So double check your area. I always use one of these garden planners and it’s a big help in knowing when to plan. Let’s get ready to plant! Once you understand the basics of what we’ve discussed, you are ready to consider what vegetables you want to plant. Choose vegetables you and your family will enjoy. After you’ve narrowed down what you’d like to plant, head over here for a detailed list of different vegetables and when best to plant them. The dates on the planting calendar will be specific to your area. It’s very important to be aware of your frost date because young plants are so fragile. There are a TON of vegetables on this list, so it’s important to not get overwhelmed and just stick with the original vegetables you had planned on trying. If you want an even more detailed planting schedule, you can also try this one. 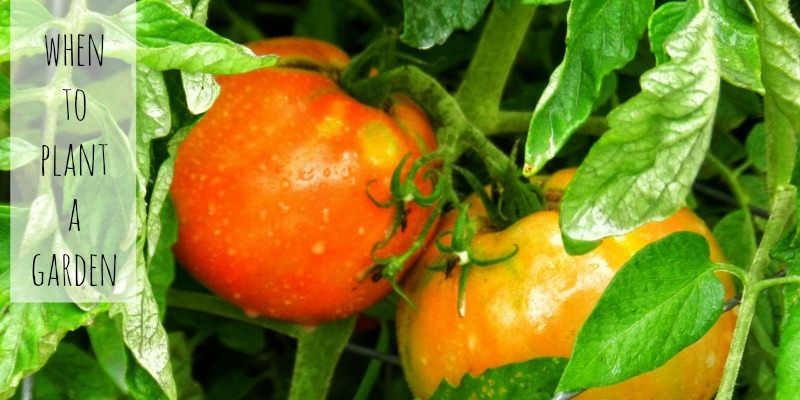 A lot of beginning gardeners want to know what are the easiest vegetables to grow in a garden? Now that you know when to plant garden, let’s get gardening! 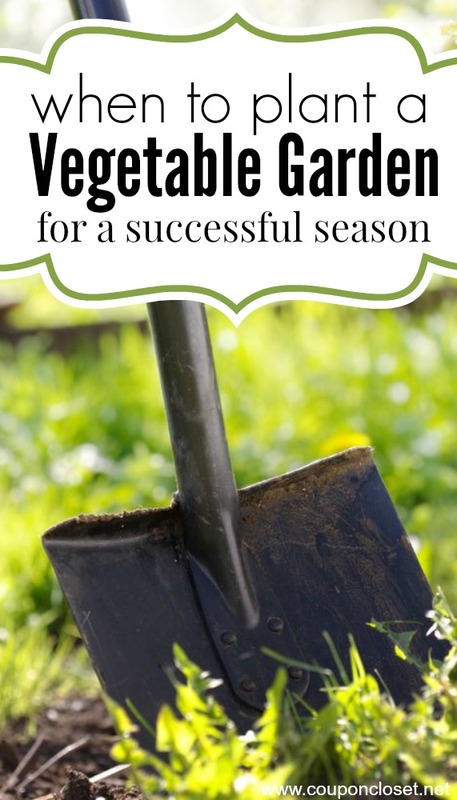 You are going to be successful with your garden! The key is to start small, and plant things your family (and friends and neighbors) will enjoy. Don’t bite off more than you can chew. Starting a garden go from exciting to daunting in a heartbeat. If you start small, you are more likely to be successful – and more likely to continue with it in the future. Stay tuned because next week we will continue talking about gardening. We would love for you to come back and share your garden stories with us. When do you start your garden? Learn the best tips for Gardening for Beginners. Find out the best foods to grow when you are just starting out.